Flat lay photography is the new black! It's taken over Instagram & Blogs during 2014 and I don't see it slowing day quite yet. I myself started to get into flat lay photography and it's always developing & changing. It can vary from personal style and remember flat lay doesn't just end wit beauty products and clothes. Experiment, here's some tips. Natural is Bliss - Set up by a window where you get a good source of natural light (or even outside if possible). Try stand facing the window when taking the images to avoid your body being a recent eclipse on your images. In the Scheme of Things - Try stay with the similar colour scheme or compliment each other. It's more pleasing on the eye. When adding items stick to a theme - if you're posting about beach wear, why is a candle included? Eye on the Hero! - Work around your main object. Then use other items that compliment the overall look that's generally smaller than your main object. Arranging - Use the rule of thirds (the grid) to make sure that your main focus items are centred. Of course you don't have to keep it in the centre play around with different corner and positions. If you're using a smart phone, find the setting that allows you to shoot in a square. Space is nice - Don't feel like you need to feel up every inch of your photo station. Having space is nice and clutter is distracting. Shoot Birds Eye - Give your buns a workout with this. Stand on a stool or chair and shoot downwards if you are working on a high surface. If you're working on the floor of course stand up and do it. You'll need to experiment with this as not all items will look great from above. Edit & Filter - You'll want to cut any unsightly corners plus you'd like it to look square and neat. There are some great apps if you're looking to post images to any online source (instagram/twitter/pinterest/tumblr) Camera360, Afterlight, VSCO, Snapseed and Square InstaPic. If you're working on the laptop I know that Photoscape is a good program that is free to download and you can edit images such as adjusting the contrast and brightness. Find Flatlay inspiration at Flatlays on Instagram. These tips are soooo helpful! I've always wanted to create images like the ones above but never knew how they did it lol! So if you see some pics by me like this just know you helped me out haha!!! Now to get a poster board haha!!! I was JUST reading up on flat lays yesterday. Great tips! I'm starting to incorporate flat lays into my blog too - they look so cute! 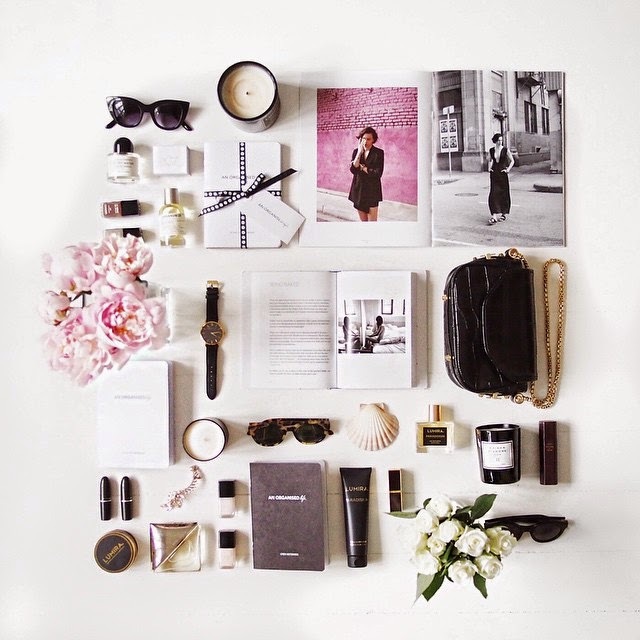 Brilliant post, I've been trying to do flat lays for a while but to no avail, will try these tips! They do and it's a nice technique when you've found how you're comfortable with it. flat lay photos are amazing and one of my favourite styles of capturing/photgraphing compositions. Great tips hun!